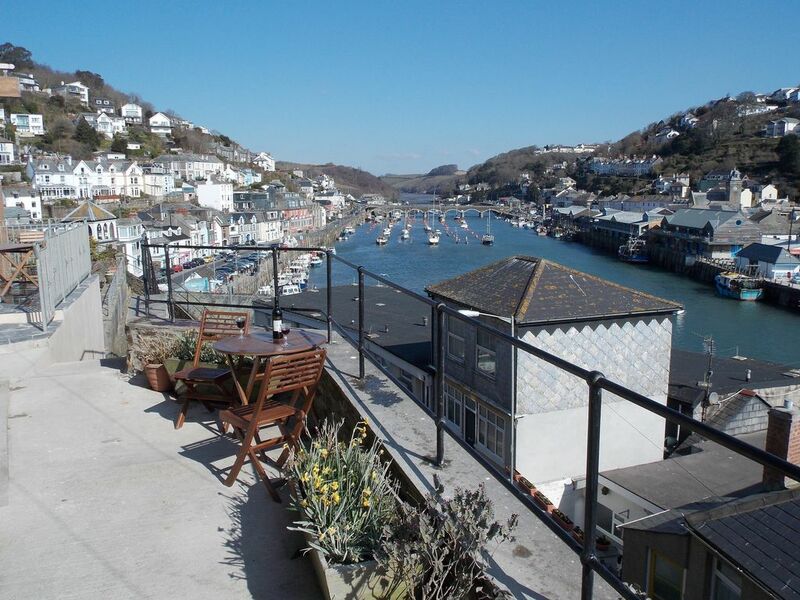 Apartment in Looe, Cornwall, England - Stunning Location, Elevated Position With Patio. Mike was former skipper of the classic sailing Lugger 'Our Daddy'. In more recent times owner skipper of the ex- RNLI life boat 'William Cantrell Ashley'. Sue and Mike are local people who have 30 years experience of letting their apartment. They are on hand to help with any aspect of your holiday needs. A really good base for walks sea and shops but also on the quieter side of Looe which suited us perfectly. Lovely apartment, with fabulous views across the harbour and out to sea. Hosts Mike and Sue, are friendly welcoming and very knowledgeable about the local area. Highly recommend. Would definitely stay again. The property had everything we needed to support a Coast Path walking week. A perfect location with amazing views to help relax those aching limbs! Closer parking would've been nice, but didn't create too much of a problem and it was free. Excellent location. The owners couldn't be more helpful and afford a beautifully presented flat. Certainly the property of choice in Looe. Lovely view to watch day and night. Apartment was clean and owners were very friendly. Short walk to nearest pub which was great. Local store there too. Many places to eat. Long walks with our dog. South West coast path to historic fishing village of Polperro 5 miles only. Hannafore Beach ( Dog friendly all year round) 10 minutes walk away. East Looe Beach which is a safe for children and swimming an easy 15 minutes walk or take a small ferry boat to East Looe.